Use Macmillan® Learning eBook to download and access digital textbooks on your iPad, iPhone or iPod Touch. 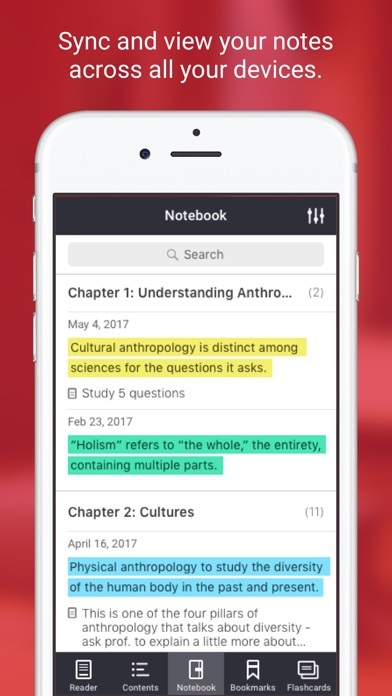 Read your books online or offline, search across your full library, and create notes and highlights to help you study. 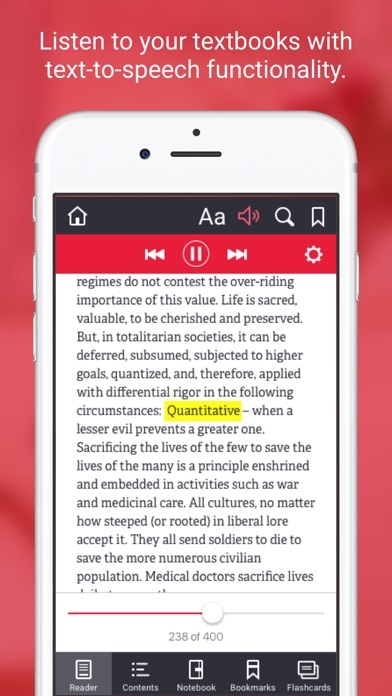 Features: • Download books to your iOS device for easy online or offline reading. • Simple, user-friendly navigation and a clean reading experience. 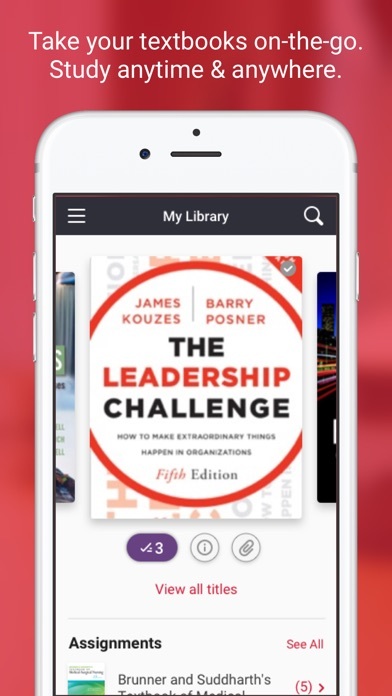 • Search inside your current book or across your full library. 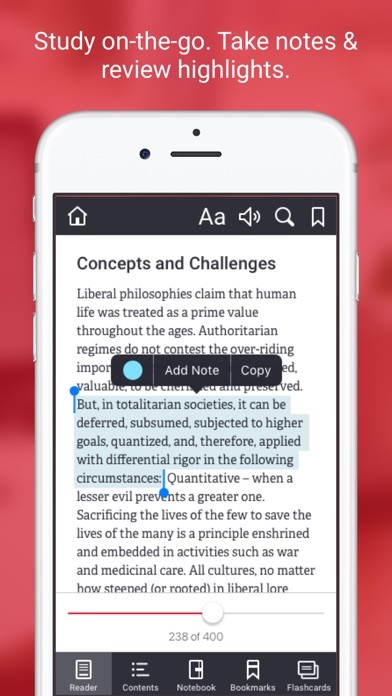 • Annotate your books with notes and highlights that sync across all your devices. • Tap to open figures, view captions and pinch to zoom. 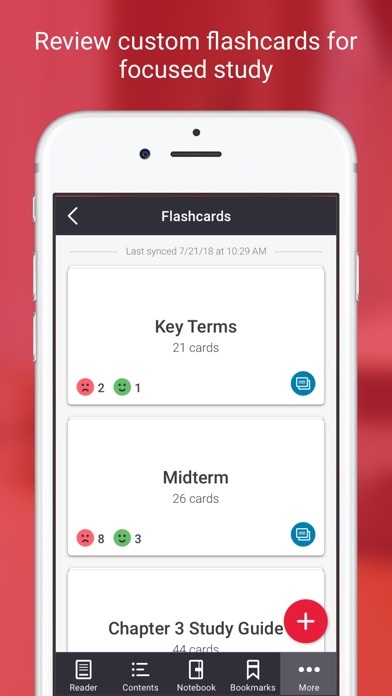 • Sync your bookmarks, last page read and all of your notes and highlights across all devices. Can’t access “my account tab” nor can I download books. 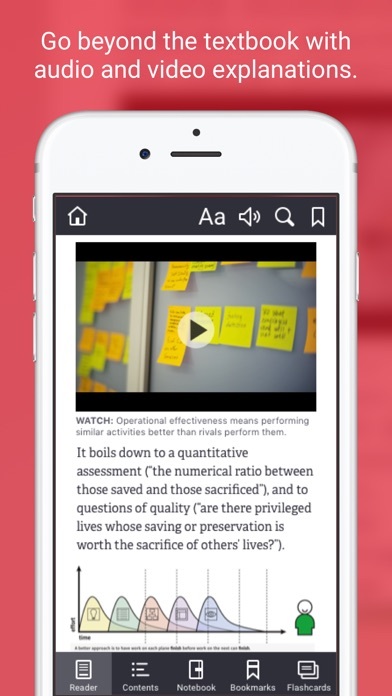 Looking for an app to make reading your e-book a bit easier on your mobile device or iPad/tablet? THIS IS NOT IT. There are way too many issues with this app. I can’t access the “my account” tab after logging in. I can’t even see my books to download them. The app doesn’t have customer service. The help tab is totally useless as it presumes the app is functioning fine. It’s not. I mean a simple scroll down the reviews will help them or you figure out whether this app is useful or just a waste of time. I’d love for them to fix these bugs. Can’t even open the book? Why? Just why? When I tap on it, it doesn’t open. What’s the point? I downloaded the app on my phone so I could read on the go... and it can’t even do that. FIX THIS. How do you add a textbook to your library? This works fine on my browser I just wanted to be able to use an app, which would be easier. The app does not seem to recognize my login, so I made a new account but it doesn’t tell you how to add textbooks to your account. Help? It says to use a link that I was never given. My login info works on the website though.. I can’t log into my account with the app but it works on my phone web browser and my laptop. The support button is just as useless. Says account doesn't exist when I'm trying to log in on my phone. Was useless to me & disappointing because I would rather read chapters on my phone than a laptop. I got the app to avoid having to open a browser every time I wanted to read my textbook. I can’t login, I tried going through the support section and it literally offered no solution. I even tried downloading their other app to see if it was just this one that caused problems but neither will let me sign in. If you’re a college student, just stick to using a browser!